We spent all of Halloween finishing a move which consolidated two apartments into one. The one we were moving to is on the second floor… not a big deal until you climb the stairs for the thousandth time. …the Fiber jack is broken!!!! No problem, I think. We can survive without internet. …Google Assistant doesn’t work without internet!!!! Shaking and alone, I realized how quiet the apartment was without ambient music playing in the background. There was no way for me to know what tomorrow’s weather would bring or set a timer without using that dial thing on the stove. …one of the dogs had eaten it!!!!! My son’s dog, Bree, has now ingested enough dirt from Edgar Allan Poe’s grave to classify as a potential haunting ground. The nice gift box was shredded all over the carpet. Fortunately, I had made 33 of these necklaces to give away as presents and prizes, so it’s an easy replacement. With that said, I’ll announce the winner of last month’s exquisite corpse poem. The winner was picked at random with no regard to merit of contribution. 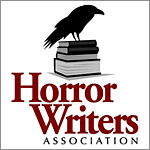 And the winner is, writer of horror… Danielle DeLisle! Congratulations Danielle! I’ll be sending you an email to get your snail mail details. Next exquisite corpse will be open for submissions on November 15th! Revenge on the grave robber? Hahahahaha! No graves have been robbed. The grave soil was sustainably harvested. I left the same amount I gathered, and I asked permission. “Mr. Poe, would you mind if I took some of your grave dirt home to make necklaces with?” No answer. Permission by omission.